Ronald Ernest Paul is a Republican United States Congressman from Lake Jackson, Texas, a physician, a bestselling author, and a former 2008 U.S. presidential candidate. 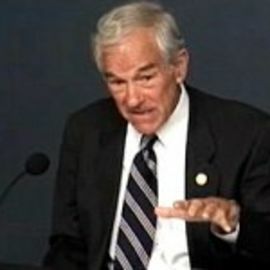 Paul serves on the House Foreign Affairs Committee, the Joint Economic Committee, the Committee on Financial Services and is Chairman of the House Financial Services Subcommittee on Domestic Monetary Policy. He is a candidate for the Republican Party nomination for President of the United States in the 2012 election.